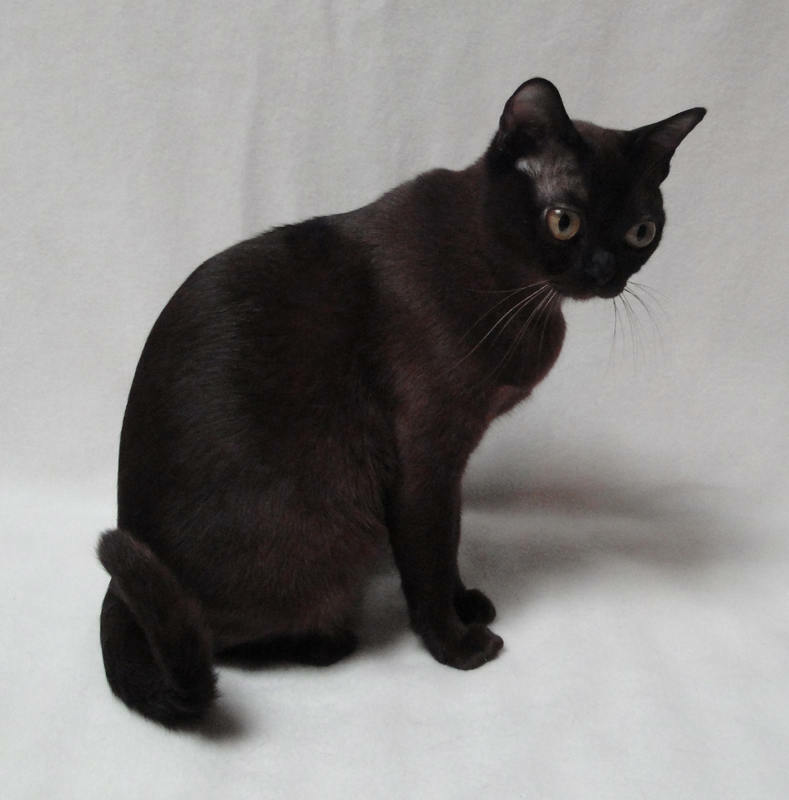 Most modern Burmese are descendants of one female cat named Mau Wong, who was brought to America from Burma in 1930. Though a small to medium sized cat, they are exceptionally solid - commonly referred to as a brick dressed in a silk coat with large, expressive yellow to gold eyes. They are very people oriented - they LOVE attention - any and all attention!!!! 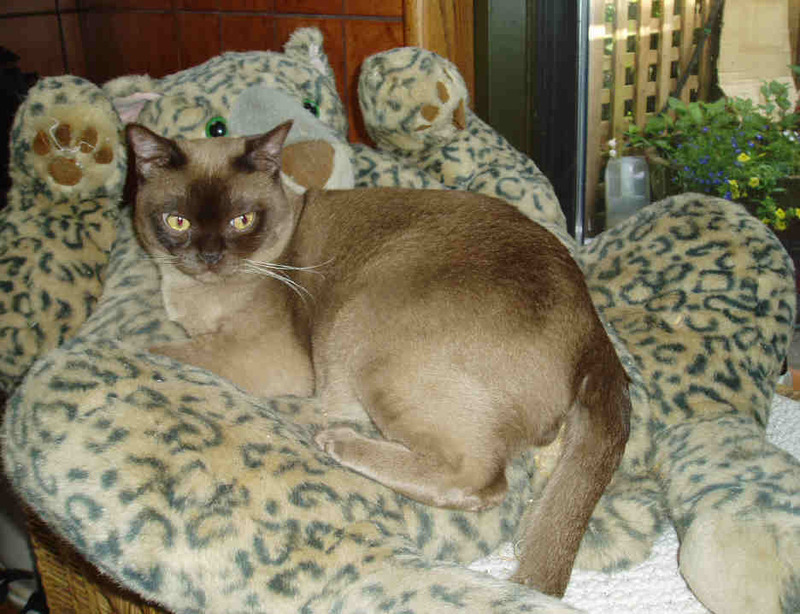 Burmese are often referred to as the 'dog' cat as they are very intelligent and many will play 'fetch' and learn tricks. 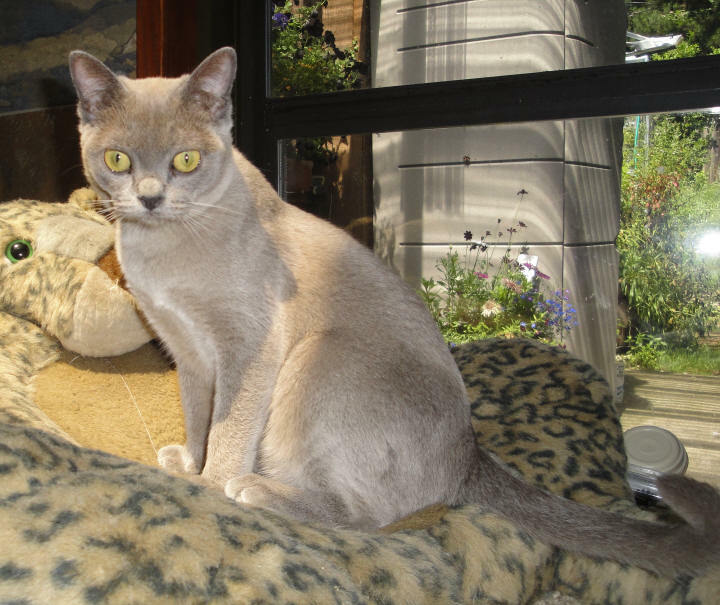 There are 2 distinct types of burmese registered by the Cat Fanciers Association - the American burmese which come in 4 colours - sable / champagne / blue and platinum. 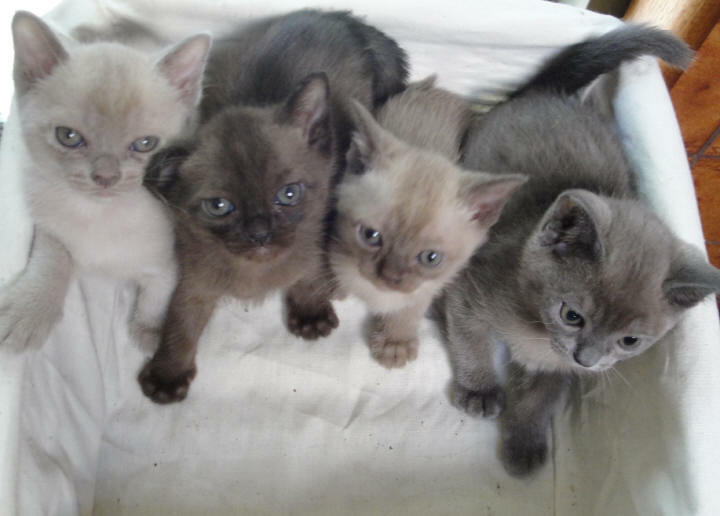 The european burmese are available in these same 4 colours, plus the 4 tortie colours, red and cream. 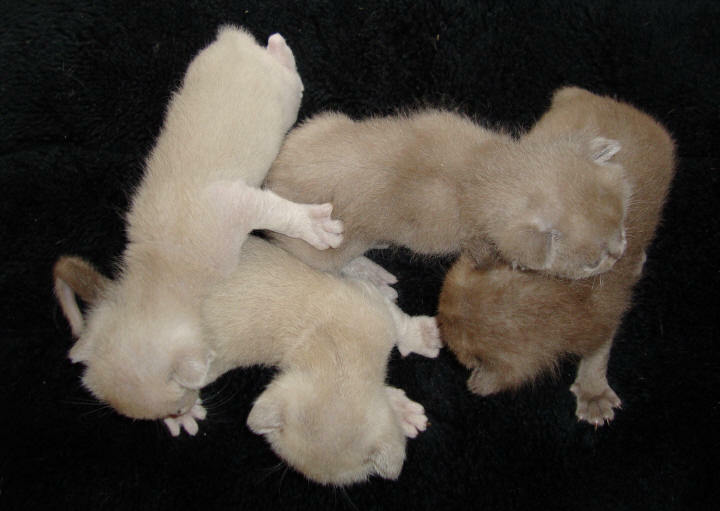 We consider ourselves as responsible breeders - we are not a 'kitten mill'. 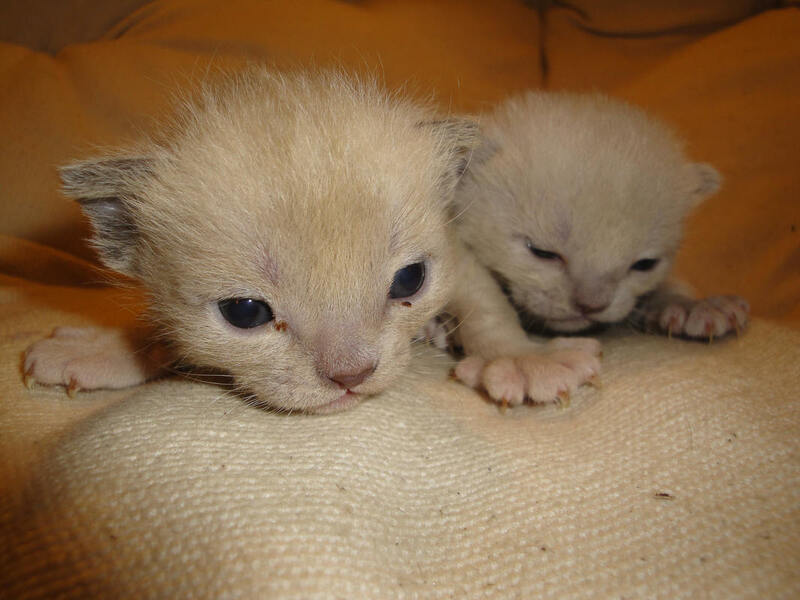 Our girls are adults before being bred for the first time - we don't breed kittens to make more kittens and we don't over breed our girls. 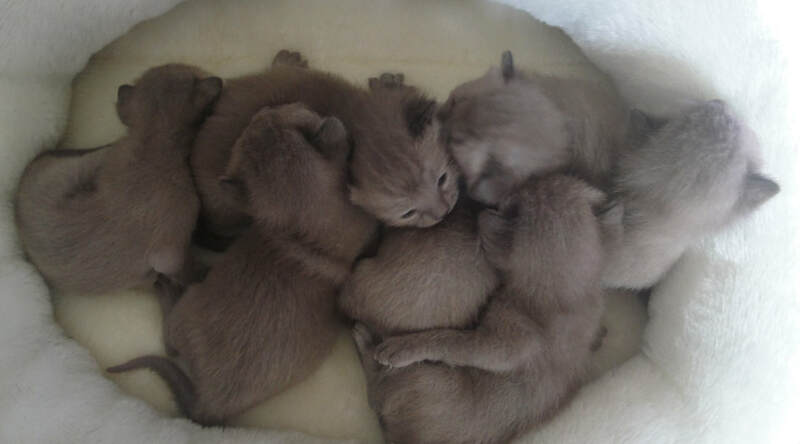 Gestation is 9 weeks, babies should be with their mothers for at least 12 weeks .... we allow our mama cats time to to recover from raising their litter before they are bred again. Our queens are 'retired' at an early age and then placed into loving homes. 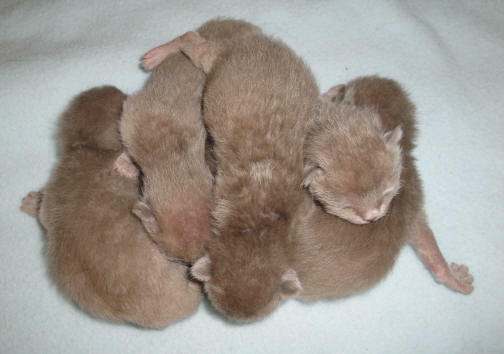 The adult sable is a rich, warm, sable brown, shading almost imperceptibly to a slightly lighter hue on the underparts. At birth platinum babies are a cool white, champagne babies are a warm white - almost impossible to tell them apart at birth - the champagne facial/ear pointing doesn't show up for several weeks.